If you didn’t know about us now you do! Blow and Go blow-dry salons were featured in OK Magazine! 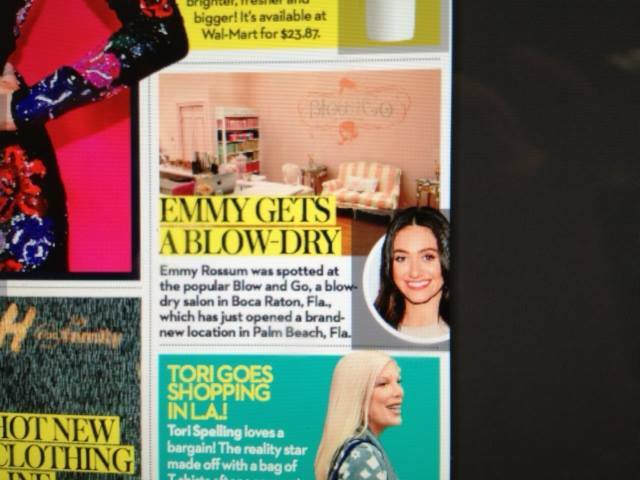 This is such an amazing accomplishment and we are so thrilled!The amazing Emmy Rossum visited Blow And Go Boca Raton and got an amazing blowout! Brooke Porter can’t wait to keep building this company and bring blow-dry salons to another level! Kevyn Aucoin meets Blow And Go Salons! Blow And Go Bridal Beauties!